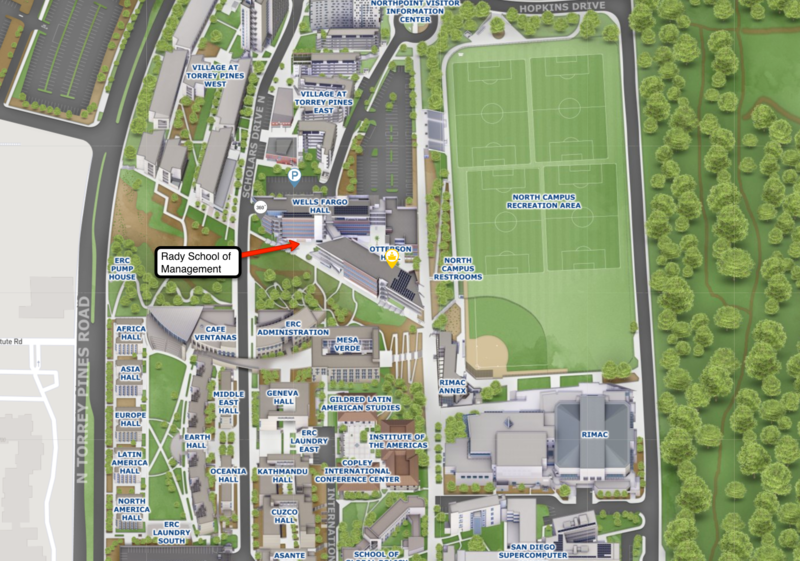 You can find Campus LISA at the Rady School of Management which is a short walk from the San Diego Supercomputer Center, GPS and across Ridge Walk from Home Plate. Want a more interactive map? Try this one. I'm driving! How do I get there? From Interstate 5 exit on Genesee Avenue heading west. Turn right onto Scholars Drive North and continue until you see Otterson Hall on the left. Parking is available at Pangea Parking Structure and Hopkins Parking Structure and limited parking in P357 and P351. All standard parking rates and permits appy. Parking kiosks are available at the Visitor Information Center and at the top level of both parking structures.